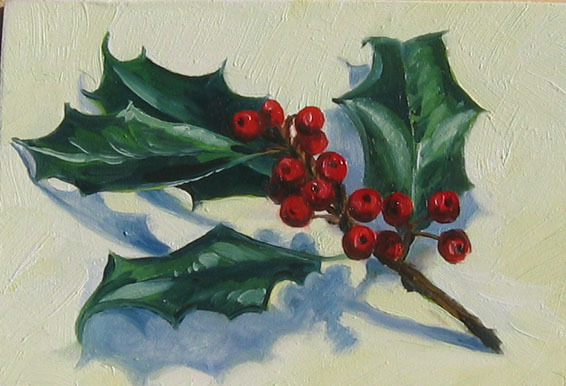 I like holly It makes a good painting. Yours looks great! Yes I am getting ready for Christmas...as a floral designer I will soon be very busy doing the flower thing for the month of December....so I need to get the paintings for my yearly studio/holiday show ready now! Or really they should have been ready a month ago, but that's just too early!